Istanbul or Athens: Which Ancient Capital Is Perfect for Your Next Trip? There are a million and one reasons to visit Istanbul and Athens. They’re both amazing ancient capitals with millennia of history, art, and architecture to appreciate. They both offer amazing culinary experiences. And they are both great budget destinations compared to similar places like Rome. 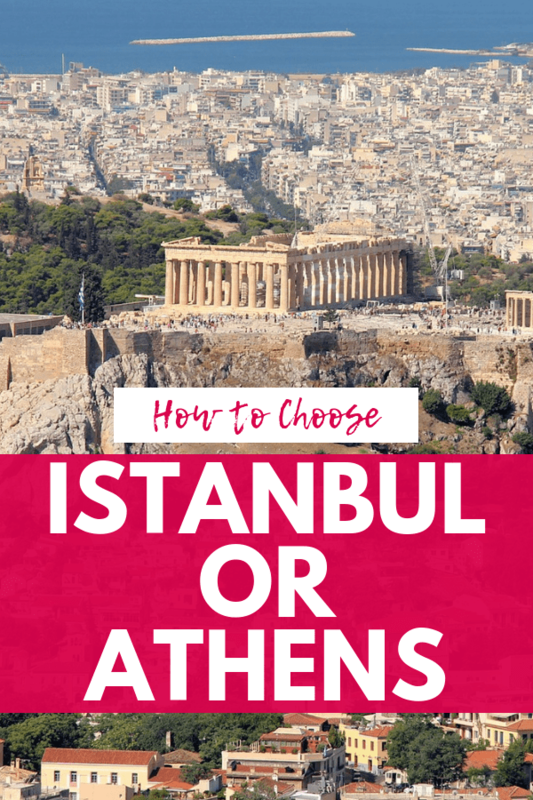 I’d love to tell you to go to both (they’re two of my favorite cities to visit on the planet), but if you must choose then here’s what you need to know to decide whether traveling to Istanbul or Athens is right for your next trip. Both Turkish and Greek food is amazing. While there are many overlapping dishes (which we’ll discuss below), one thing that the Turks do better is Turkish breakfast. 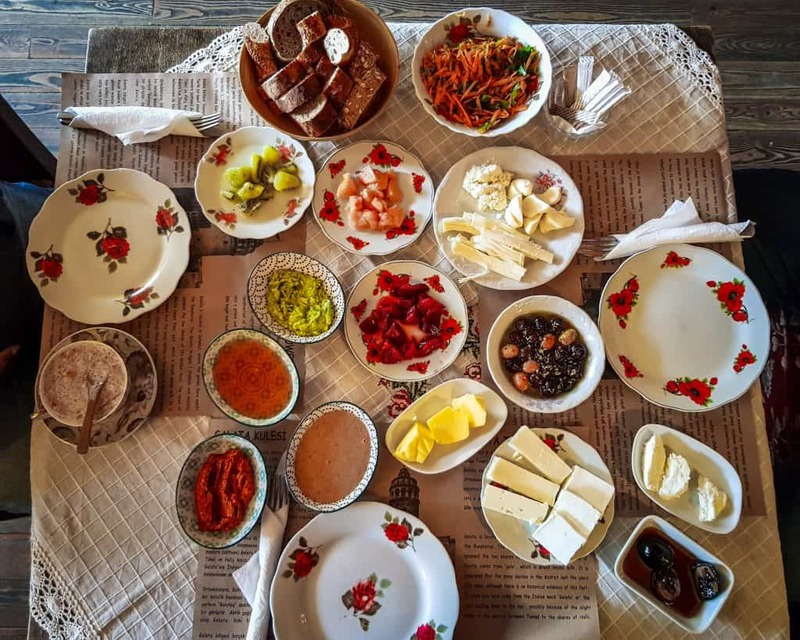 Consisting of absolutely too much food, you’ll find a typical Turkish breakfast includes fresh bread, pastries, jams, honey, butter, cheeses, olives, eggs, clotted cream, and possibly much, much more. I’ve never left one hungry, and I’ve never been anywhere where I was as excited to get up and start my day as Istanbul. I have listed a few recommendations for where to find a great Turkish breakfast in this post about visiting Istanbul in winter, but there’s never a bad time of year for this fabulous meal. I had never set foot in a mosque until my first trip to Istanbul, but, even now that I’ve traveled the Islamic world more extensively, I have to report that the mosques of Istanbul are truly stunning. A mix of converted churches from after the fall of Constantinople with mosques built by the Ottoman rulers in the five hundred years since, you’ll find every kind of mosque imaginable, from grand hilltop ones to personal home mosques. While the outside of these structures should be admired, you really must visit inside to appreciate their full beauty. You’ll find everything from Ottoman tilework to nearly-Baroque looking interiors. For some of our favorites, check our list of Istanbul Instagram spots. If you’ve heard the story of the fall of Constantinople, then you’ve heard about how the Hagia Sophia was the last refuge for the Byzantines. While the Turks did manage to take over, they recognized that the Hagia Sophia’s symbol as the most important church in the Christian world could not be merely set aside. Instead, they constructed minarets and turned it into a mosque. Today the Hagia Sophia serves as a museum, but it still pulls on the hearts of visitors. I’ve seen people in awe during their visit, but I’ve also seen people overwhelmed with tears. This building is significant to the people of two religions, and as such its an emotional journey for so many. 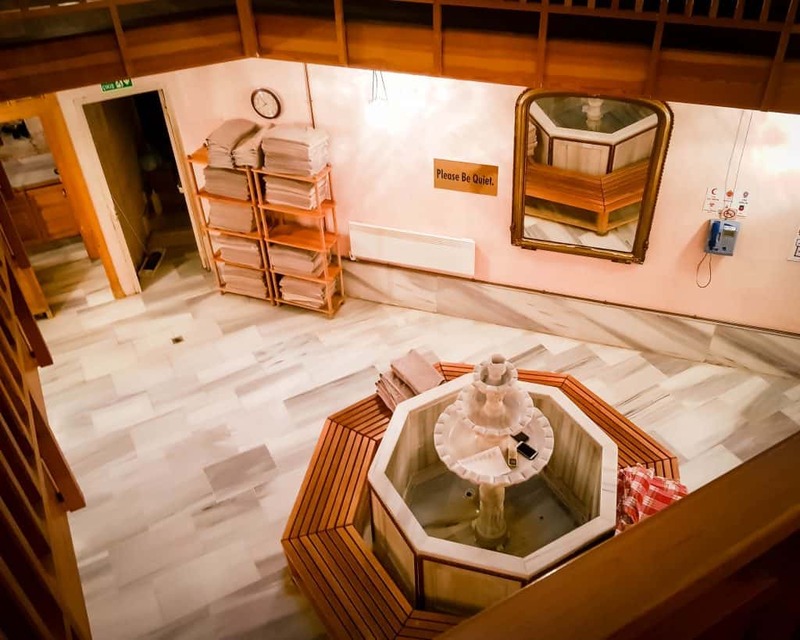 The famous Turkish bath is a completely relaxing and rejuvenating experience, and it’s one worth traveling for! If you love spas, then a visit to a historic hammam in Istanbul should definitely be on your bucket list. You can pick from many different hammams in the city (we have recommendations for our favorites here and here). While there, you’ll be scrubbed and cleaned, massaged, and given time to relax in the baths. You can also pick from other treatments if you want to go beyond the basics. A visit to the Acropolis of Athens, with the Parthenon and other important ancient Greek buildings, is on many people’s lists of places they have to see before they die. One of the most famous sites in the entire world, it’s just one of those places that people feel in their bones even before they see it in person. I’ve been to the top twice, and even on a second trip, it was still surreal that I was finally there. Visible from many points in Athens, it’s wonderful even to just look at the Acropolis from afar. Istanbul has its glorious mosques, but Athens is dotted with gorgeous Orthodox churches. You can visit the UNESCO World Heritage Site Daphni Monastery, which is nearly a thousand years old and was built during the “‘second golden age of Byzantine art.” Or you can take a trip up Mount Lycabettos and see the 19th century Chapel of St. George while also taking in views of the Acropolis below. There are many more beautiful churches in Athens to visit, including the Metropolis Cathedral of Athens and the Monastery of Kaisariani. To learn more about Orthodox traditions while in Athens, make a visit the Byzantine and Christian Museum, where you’ll find gorgeous icons on display. Whenever I’m in Istanbul, I always spend all my time in the city since there’s so much to do there and getting out can be a bit of a headache. In Athens, though, I love getting out and exploring the surrounding area by taking advantage of the amazing day trip opportunities. The two best day trips from Athens that I went on were to the gorgeous sites of Delphi and Meteora. I suggest giving yourself enough time in Athens to visit both sites, which each take an entire day. I’ve traveled to nearly seventy countries, and these are still two of the most beautiful places I’ve ever seen. 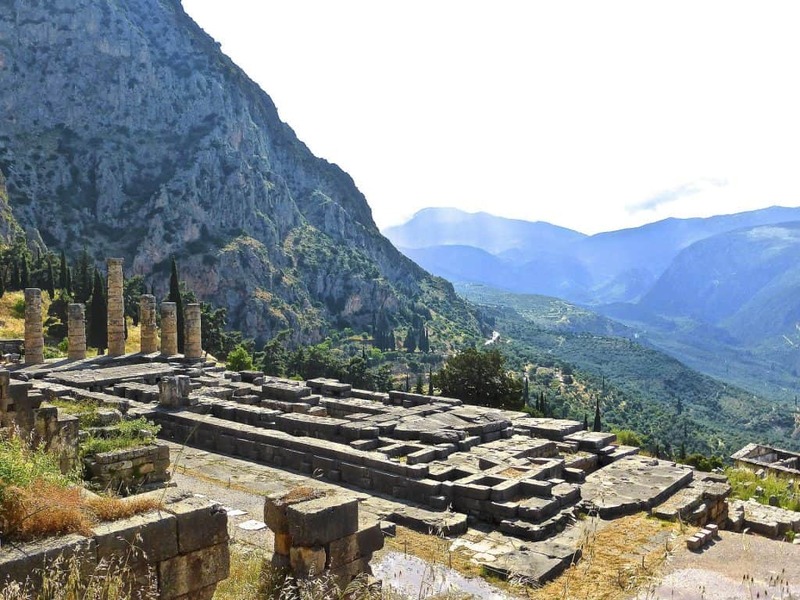 At Delphi, you’ll get to see where the Oracle at Delphi captured attention for centuries, while in Meteora you’ll visit Orthodox monasteries perched high up on clifftops. If you’ve never seen pictures of Meteora or Delphia, then do check them out asap. You’ll be as mesmerized as we are! You can visit Athens on a Balkan city break but still get a taste of Greek island hopping on the same trip. You can accomplish this by taking a day trip to some of the best islands near Athens: Poros, Aegina, and Hydra. I went on a tour that visited all three islands in a single day. While it’s less time than if you plan to visit a few Greek islands on their own, it’s a great way to sample the Greek islands while still enjoying your time in the city. Which is better, Turkish coffee or Greek coffee? That’s a trick question because the thick mud-like coffee in both countries is the same thing. The tradition took hold in both countries simultaneously, back when Greece was part of the Ottoman Empire. So why are they called different things? 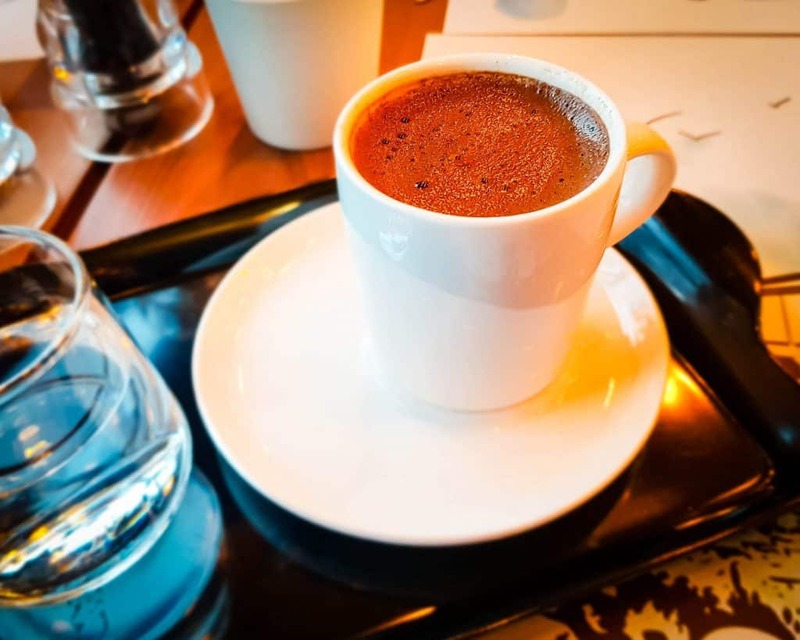 During the twentieth century, it became politically popular in Greece to rename their Turkish coffee into Greek coffee without changing a single thing about how it was made. Thus, if you’re longing for this particular cup of joe, never fear. You’ll find it in either city. Just don’t call it by the other country’s name! Istanbul has the Grand Bazaar, the Spice Bazaar, Topkapi Palace, and the Basilica Cisterns, not to mention their archaeology museums. 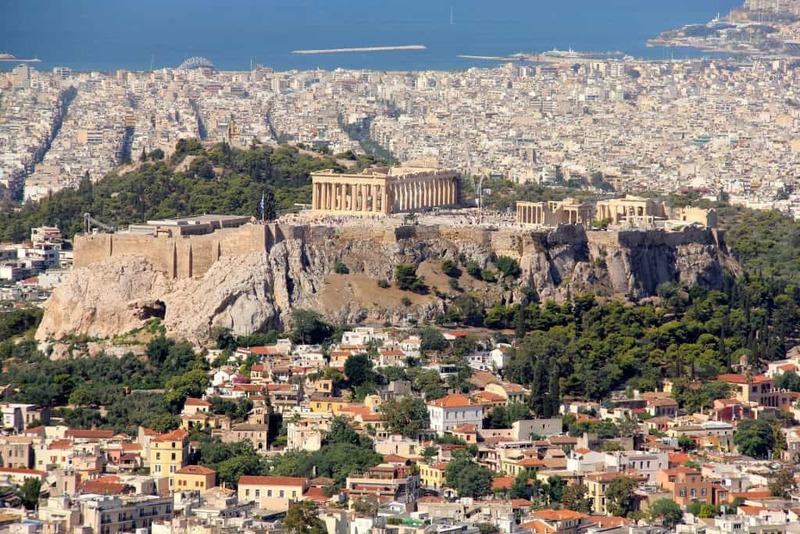 Athens has Monastiraki, a plethora of ancient temples, the Plaka, the ancient Athenian Agora, plus enough world-class museums to keep you occupied for days. Whether you choose to visit Istanbul or Athens, you won’t have to worry about running out of cool cultural experiences, historic places to visit, or museums to explore. These two cities are just bursting at the seams with things to do for the culture or history traveler. 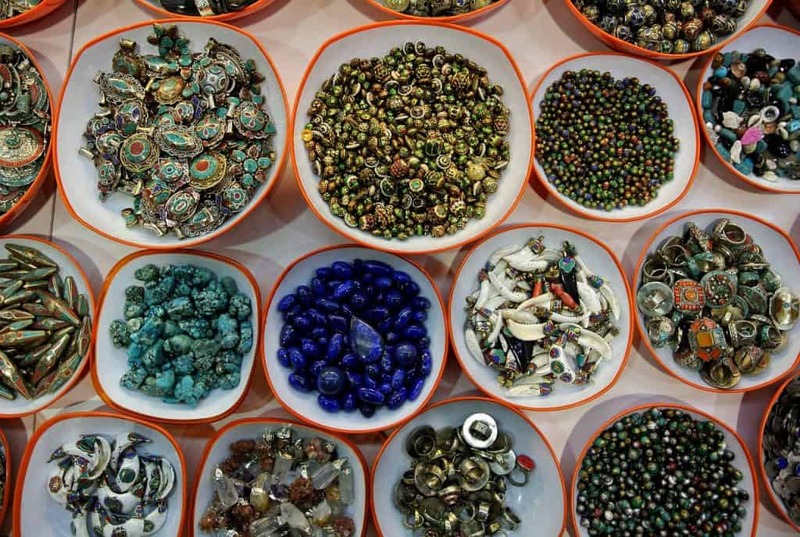 Not to mention that this makes for creative and unique Turkish souvenir and Greek souvenir options for those who want to shop while on vacation. While the coffee is identical, the cuisine has many similar aspects but its not always the same. Both cultures have their own dishes, but there is significant overlap. Whenever one culture occupies another, the good food stays when the occupation ends. 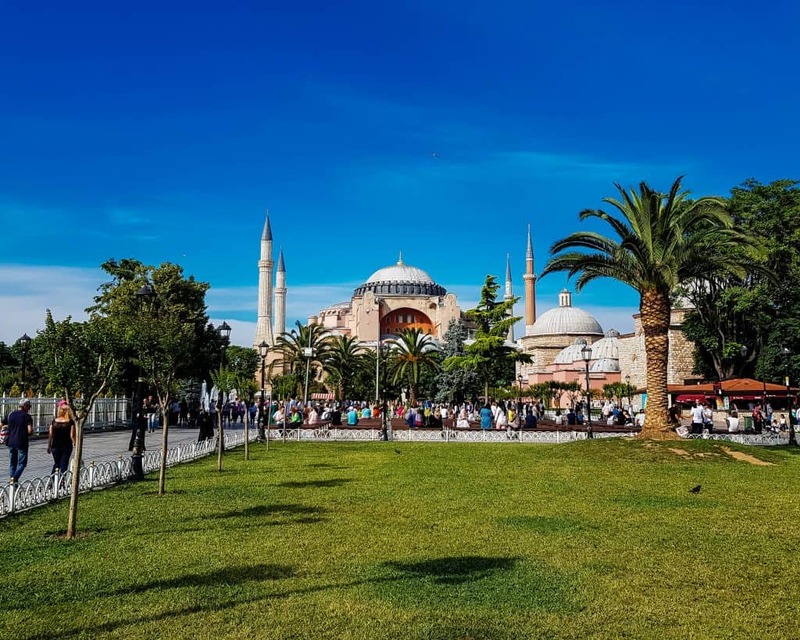 Plus, these two places have been culturally connected in one way or another since long before the fall of Constantinople. One thing you’ll find to be very similar in both cities is meze, a selection of small dishes. The word is Persian, and meze is found in almost all places formerly controlled by the Ottoman Empire, including the Middle East and the Balkans. 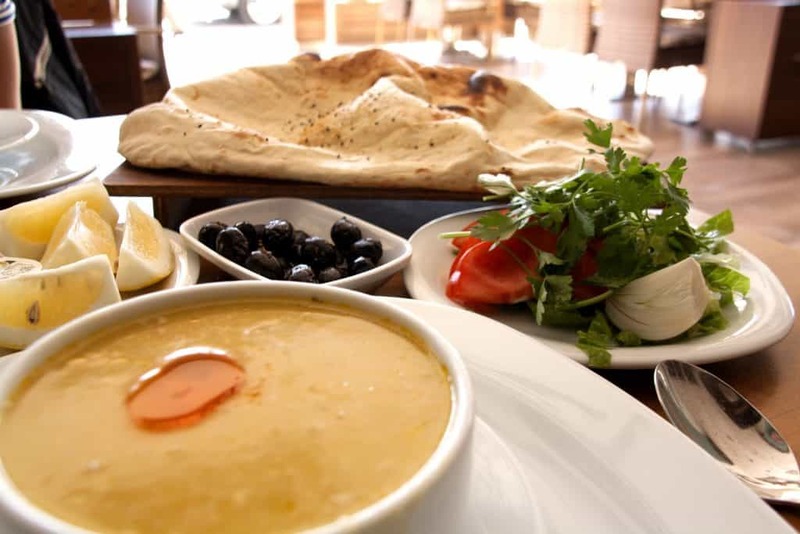 While the exact dishes may change from country to country (and restaurant to restaurant), you’ll typically enjoy hummus, cheeses, olives, dolmas, and a wide variety of other dishes. Both cities offer the possibility to dine with world-class views. In Istanbul, you can eat overlooking the Bosphorus, Golden Horn, or the beautiful city skyline. 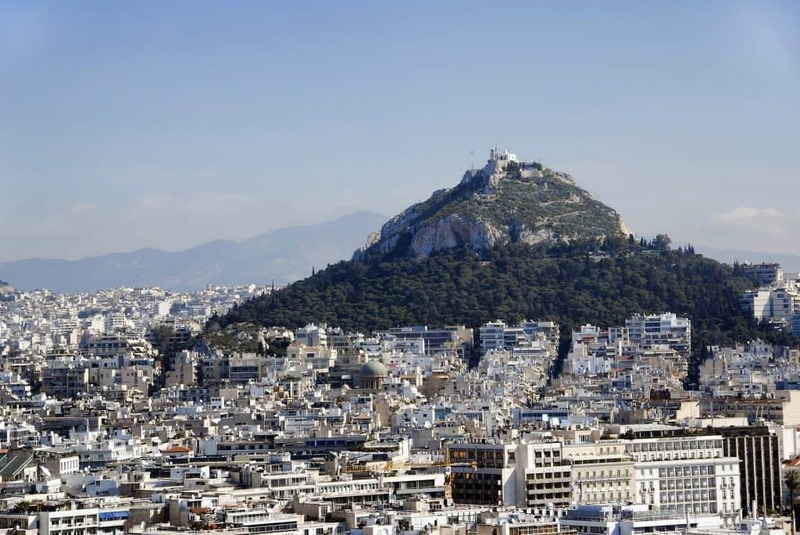 In Athens, you’ll find many restaurants advertising Acropolis views, and if you go to the top of Mount Lycabettus you can see all the way out to Piraeus and the Saronic Gulf. Both cities are infinitely Instagrammable (check our recommendations for Instagram spots in Athens and Istanbul). However, even if you’re not an amateur photographer, you’ll enjoy being surrounded by stunning views wherever you go in both cities. Whichever City You Pick, Don’t Leave without Travel Insurance! Finally, make sure you always travel to Greece, Turkey or anywhere in Europe with a valid travel insurance policy. Both Athens and Istanbul are very safe places to travel, but accidents or theft can easily ruin your trip if you don’t have the travel insurance coverage to recover the losses. Recently my aunt fell on a train in France and needed surgery, but luckily her travel insurance covered the costs in full. Thank goodness! How did you decide whether to travel to Istanbul or Athens? Are you planning an upcoming trip and deciding which city to visit? Leave your best tips for choosing and any questions you have below! Yes! 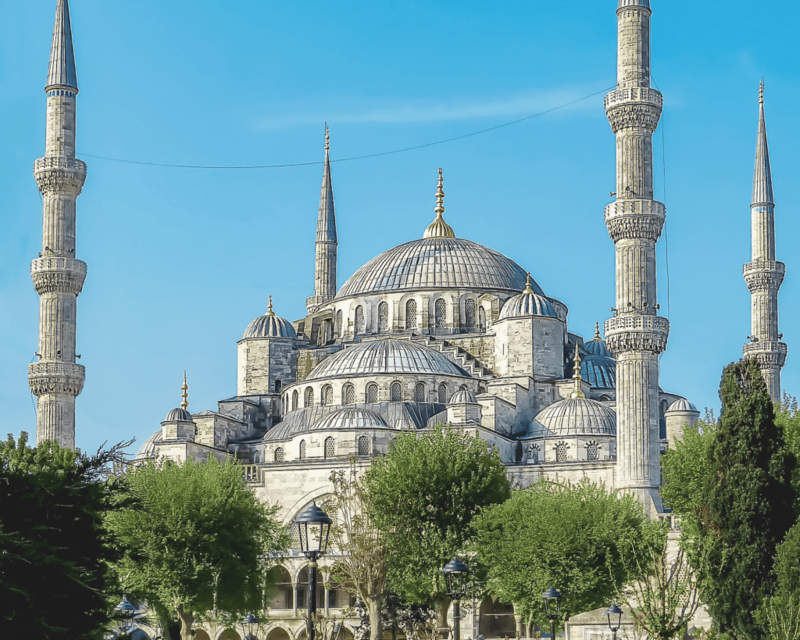 Istanbul is amazing, and it definitely deserves a spot on your list! Greece is truly an incredible country and my favorite. While I have also already been to Istanbul and other parts in Turkey, I think Athens although it’s rising to fame in the last couple of years, is one of the biggest surprises of all. I so love this city. It’s energy is much much better than Istanbul. Istanbul people where on a daily basis trying to steal from you (every day I encountered this in many ways). Also I found the food to be on the better side in Athens. I seem negative now when I’m stating my honest opinion but my wife got sick by food poisoning. There where some clean an great places to eat in Istanbul, but in Athens I got great food throughout always. 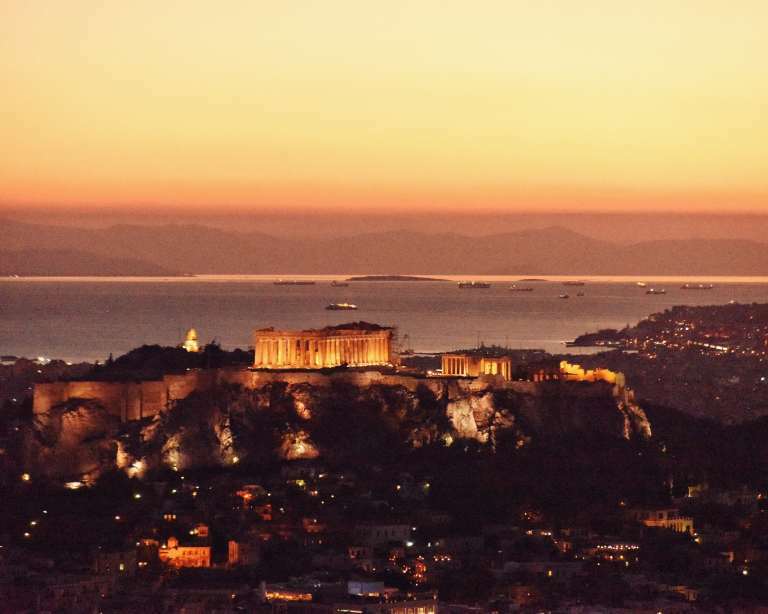 But the best thing to why I absolutely adore Athens, is it’s skylines and history and natural splendors around. Just wow. How incredible the Acropolis is, is just way beyond my expectation. While I for instance also love Rome and Berlin (these 2 together with Athens are my favorite in Europe) a lot, and love it’s own monuments, the Colosseum is not visible from any place, except for when you’re close by or in rare occasional places. 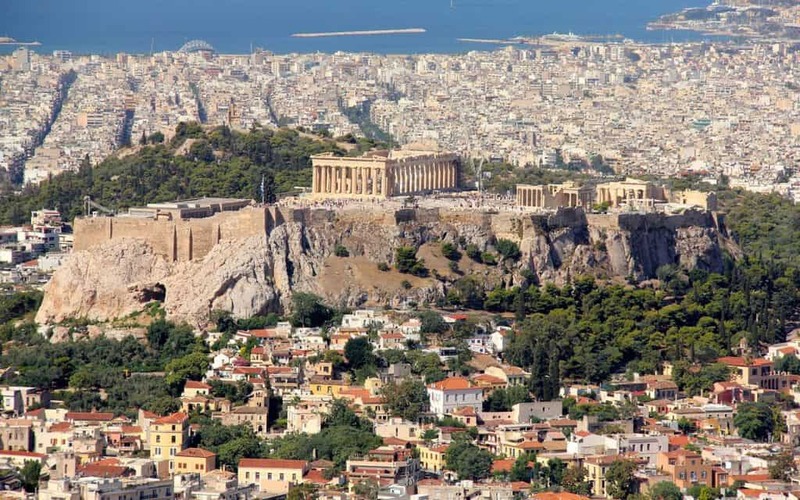 But the Acropolis is visible from every part of the city almost, and also it’s many other highlights both historical as modern as situated at places that are so great, that from each of these places you can see the Acropolis or other great monuments. This really makes Athens special. The views! And then of course the mountains and sea around. How many cities on the planet have a tapestry of mountains around, with see on the front, and then on the horizon islands and other mountains in the distance with it’s incredible sunsets. The views from Lyccavitos or from Philopappos hill and so on are incredible. And of course one can hike in the forested mountains. 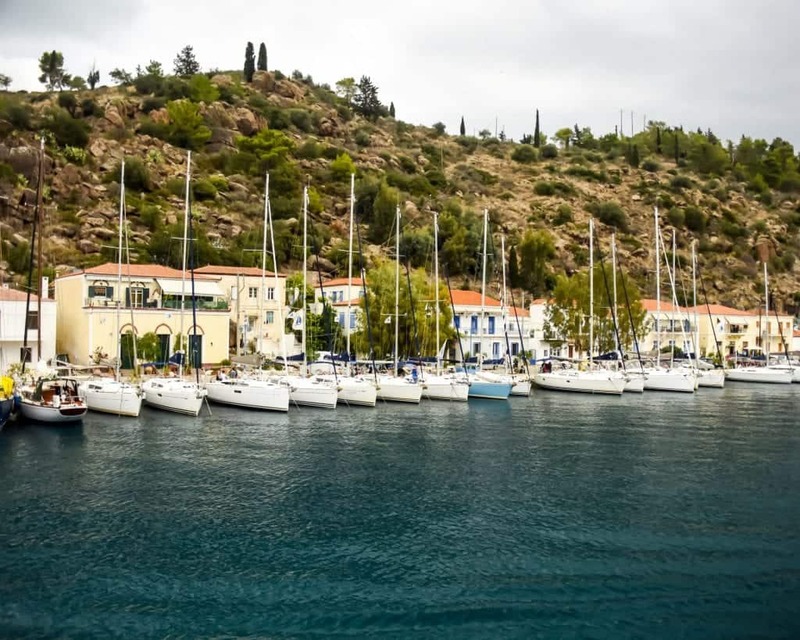 And ofcourse another huge plus of Athens is that next to these points, you can quickly drive to majestic mountain sceneries in Central Greece and the Peloponnese, or go to the Argo Saronic islands group or Cycladic islands group by ferry. 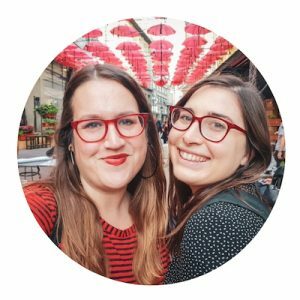 It makes Athens a truly incredible place of incredible diversity as all these things mentioned are really things that everyone can do and wants to do. Not something that is randomly there but not interesting enough to do or so. These things are like a kaleidoscope of things one wants to do in and around Athens, making it an incredible city. I wouldn’t mind going back to Istanbul again somewhere in my life, but my wife never wants to ever step one foot in Turkey again. But Athens had such an impression on us that we’re doing a Cyclades ( our first time) islands vacation combining it with Athens in October. We have already been many times to Greece though, But only 6 islands so far (Crete, Lefkada, Santorini, Rhodos, Thassos, and Symi) and a lot of the Mainland. I can aside from it’s breathtaking islands I can absolutely recommend the mainland with it’s 80% mountains making up of the most incredible views around every corner. And every region unique and steeped in history, natural beauty, history and culture and food. Thank you so much for your detailed comment! It’s unfortunate how negative experiences can dampen an otherwise great place. I had a similar experience in Morocco with people trying to scam me all over the place and it’s led me to never want to go back, but I’ve always had a fantastic time in Istanbul. I think I lean a little more towards Istanbul for culture and architecture, and Athens for food and proximity to islands. I think Istanbul is worth another shot if you can convince your wife to go back! Check out a more off the beaten path side to the city next time (Balat, Arnavutkoy, Uskudar, Cukurcuma, Cihangir, Karakoy, Kadikoy) and stay away from Sultanahmet and see if your opinions change 🙂 Next time you plan a trip to mainland Greece you should consider Thessaloniki as well, it’s very interesting and the food is, in my opinion, the best in Greece!